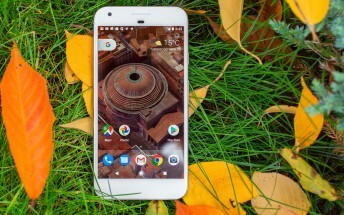 Verizon has started rolling out a new update to Google Pixel and Pixel XL units on its network. Arriving as build number NOF27B, the update brings along Android security fixes for the month of March. Aside from the latest security patch, the update also includes a Bluetooth-related improvement - "Increased reliability of sending and receiving calls with the Honda Bluetooth Carkit," the official change-log explains. In case you missed, the Android security bulletin for this month is up as well. Also, factory images and OTA zip files containing the new fixes are up for grabs for supported Pixel and Nexus devices.